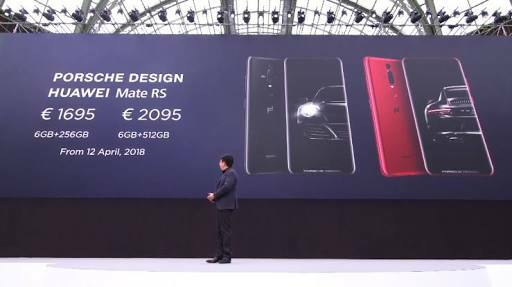 The Huawei Mate RS Porsche Design has officially been announced alongside the P20 and P20 Pro smartphones. The device is a one of a kind smartphone and would be retailing for $2099 for the 256GB version. 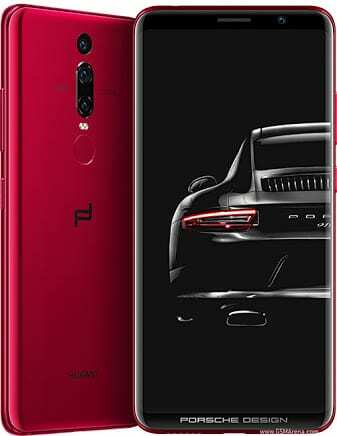 According to Huawei, the Mate RS Porsche Design is a tribute to Porsche RS car with the streamline curves design, classic black cover, metallic touch, Leica Triple Camera, in-screen fingerprint and Huawei Kirin AI. The device packs 6GB RAM, 512GB/256GB storage and three rear cameras. But is it worth the money? Lets find out. 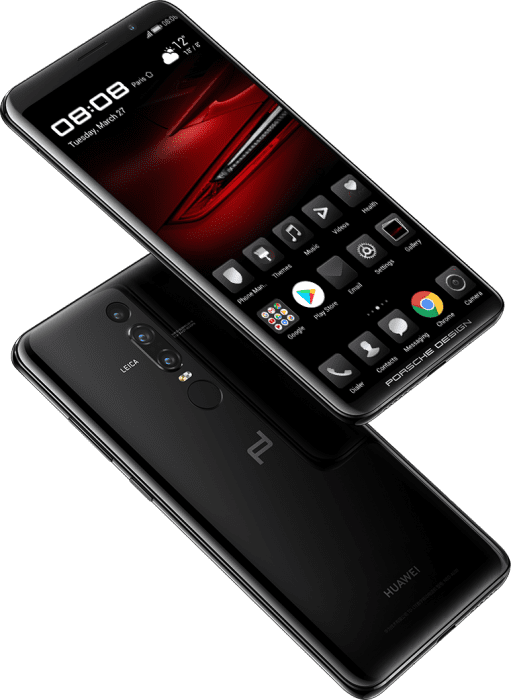 What is Huawei Mate RS Porsche Design Price and Availability Status? Literally holding a Porsche car with your hands, the Huawei Mate RS Porsche Design is truly a masterpiece and a beauty to behold. Exuding class and elegance, the Metal overall body was covered completely in glass. It is also IP67 certified just like the P20 Pro, offering dust and water-resistant of up to 30 minutes. Just like the P20 Pro, it comes with triple rear cameras as well, but they are now in the top middle in a unique twist. While the dual-tone dual-LED flash comes underneath before the rear fingerprint scanner. It measures 8.5mm in thickness and weighs 183g overall, in terms of colors, it’s available in Black and Red colors only. No top-notch for the elites here, the Huawei Mate RS Porsche Design has a normal bezel-less display. With the Porsche Design boldly written at the bottom bezel while the top houses the usual features, the narrow bezels are non-existent. There’s also another under display fingerprint scanner here on the screen, just like we saw on the Vivo X21 UD. The 6-inch FHD+ AMOLED capacitive touchscreen is simply mind-blowing. Boasting of a resolution of 1440 x 2880 pixels and an impressive 538 pixel per inch density, bringing out every single detail on the screen. The screen dishes out an 18:9 aspect ratio and stretches up to 83.5% screen-to-body ratio. Running the race here, is the powerful Huawei HiSilicon KIRIN 970 chip with Octa-core processor and 64-bit CPU architecture. The 8-cores of processor runs at a fast speed of 2.4GHz with an incredible 10nm process technology. In charge of graphics is the ARM Mali G72 MP12 graphics processor, boasting of 12-cores and clocks at 767MHz. For multitasking, 6GB of RAM space is available with a memory speed of 1.833GHz. In terms of storage, there are two version, the standard version with a massive 512GB storage and the much affordable variant with 256GB. The Mate RS Porsche Design smartphone runs smoothly on Android 8.1 Oreo with EMUI 8.0 skin. This is the second smartphone in the world to come with three rear cameras. Both the first and second were made by Huawei, the tri 40MP + 20MP + 8MP shooters on the Mate RS Porsche Design has f/1.6, f/2.4 and f/1.8 aperture respectively, capturing 5K resolution images with ease. The three Leica-powered shooters has Leica Optics, 2X Lossless Zoom, 1.0um Pixel Size, Phase Detection, Laser Autofocus, Contrast Autofocus, Depth Autofocus, Summilux-H lens, 6P Lens and other amazing features. The cameras come with a dual tone LED flash that’s always ready for night shoot, capturing photographs with 5164 x 3873 pixels in dimension. The 24MP selfie camera has f/2.0 aperture, autofocus and face recognition technology. Record FHD videos of 2160, 1080 and 720 pixels at 60, 120 and 960 frames per second respectively. Powering the Huawei Mate RS Porsche Design is a 4000mAh non-removable Li-Po battery with fast charging and wireless charging technology. With the fast charging feature, it shouldn’t take more than 1.3 hours to fully charge up the battery from 0% to 100%. The Huawei Mate RS Porsche Design will be available on Shopping stores from April starting from $2099 (N700,000) to $2599 (N900,000). Click on the links above to view the latest Huawei Mate RS Porsche Design price & availability. NOTE: if you have difficulties ordering this product yourself, you can contact us on mobile via +2348100482812 or drop your comment below. Huawei Mate RS Porsche Design is beautiful but not for everyone. The Porsche Design Huawei Mate RS is a luxurious smartphone, well made and well equipped with cutting-edge tech. It certainly has nothing to envy from any other device. 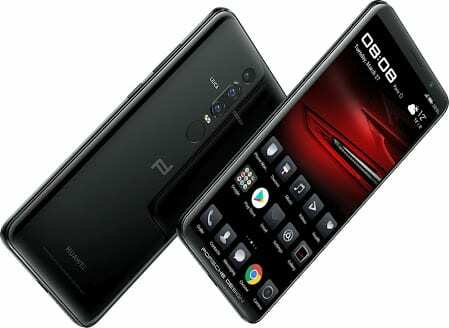 The collaboration between Huawei and Porsche Design has been going on for years now but, it is during the presentation of a new Mate device that the two companies show off in front of the general public. This time Huawei surprised everyone and presented a Porsche Design version Mate RS. Another magnificent phone from HUAWEI, this is so massive. 6GB RAM + 256GB or 512GB ROM, 4000mAh battery capacity, what more could you want in a smartphone? This device got it all.